London, your UberEXEC is arriving now! 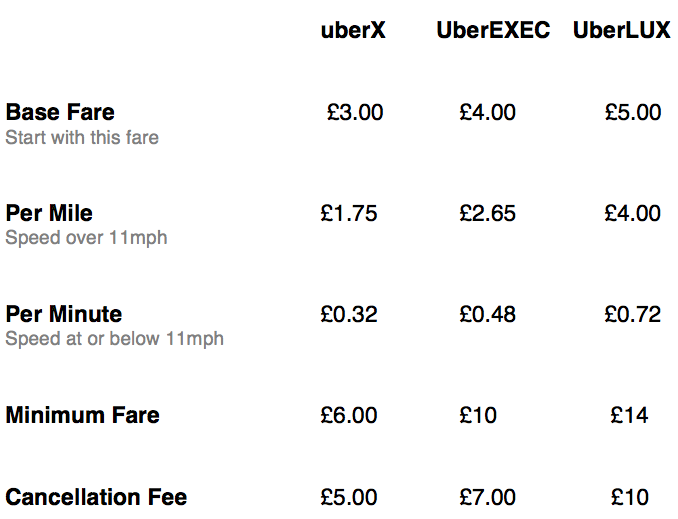 Here at Uber we believe that you should have transportation options at every price-point, after all CHOICE is a beautiful thing. Gone are the days when you have to juggle a dozen different apps to figure out the best way to get from A to B.
It’s no secret that we like to WORK HARD, PLAY HARD and as such we’re fast becoming the go-to for riding in ultimate style, luxury and convenience; be it the perfect date night in LUX or running those day to day chores in X, but let’s be honest, the weekdays are when convenience and efficiency with your time matter most. Cue our corporate equivalent, for those who want a chic yet understated alternative to LUX; every car coming complete with smart phone in-car chargers for those crucial moments! 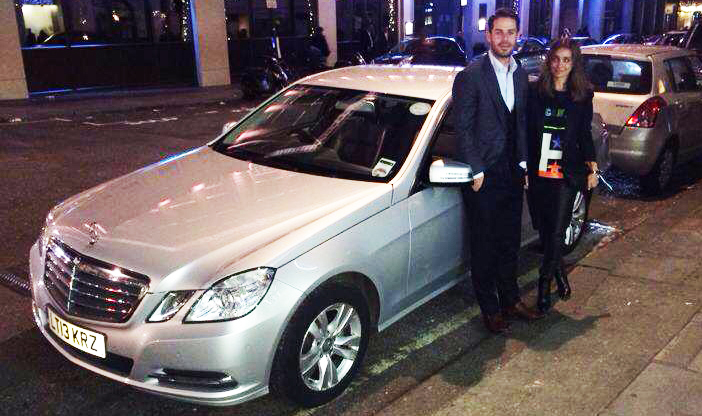 And who better to kick things off than Britain’s football royalty, Jamie and Louise Redknapp as our rider zero. The Redknapps tapped the app, got picked up at Nobu Park Lane and were swiftly and stylishly transported home. Why take UberEXEC for work? Enjoy your commute: The calm before the storm. Work can be stressful! Whether you’re closing deals or crunching numbers, getting there should be easy and comfortable. Impress your clients: Style points count! Goodbye public transport: Hailing a cab, taking a tube or getting on a bus will be a thing of the past. Set the tone of your day with a hassle-free Uber ride. Get to meetings on time: Trust in your transport and relax in comfort. Share your eta so your colleagues know exactly where you are at all times. Airport trips: Make your flight on time and in the ultimate luxury. How do I get an uberEXEC?